Like many of his clients, Terry Isselhard is an entrepreneur. He understands the unique challenges business owners face and works closely with his clients to make their goals a reality. Terry Isselhard delivers for healthcare providers and closely held businesses the same powerful business structuring tools that have traditionally been available only to larger business entities. 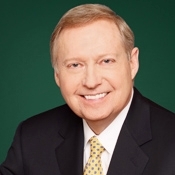 Throughout his 40-plus years of practicing law, Terry has established a national practice representing physicians, physician organizations and other healthcare organizations and entrepreneurs in a broad range of business and healthcare matters. Terry’s services include the formation and operation of professional corporations, physician networks, management service organizations, and joint ventures with related healthcare providers, as well as mergers, acquisitions, sales and other dispositions of business assets, practice structuring, employment law, employee benefits and other practice and business-related concerns. Terry also counsels his healthcare clients on professional licensing, credentialing, peer review, antitrust and prohibited referrals, Medicare, Medicaid and other regulatory issues impacting healthcare providers. In addition to a robust healthcare practice, Terry counsels business owners and entrepreneurs in a wide range of industries on all aspects of their business planning and operations, including organizing and expanding their closely held businesses, tax issues, employment law and employee benefits, and business succession planning. With a strong background in finance and tax law, Terry’s experience, vision, and guidance enable him to assist his clients at all stages of their business and in any industry, providing them with individualized tax and legal advice from inception to succession. Terry also assists his healthcare and business owner clients in planning their estates, protecting assets, transferring wealth and minimizing taxation. With his years of experience working with healthcare and business clients, Terry is particularly sensitive to the ways in which their estate plans can be crafted to best protect their families and businesses. Terry has a particular wealth of experience in the area of business succession planning and has assisted numerous clients, including family owned businesses, in structuring their business for future generations and creating a smooth and mutually beneficial transition plan. Terry believes in developing a “client partner” relationship with his clients. Strategically building this type of relationship enables clear identification and servicing of each client partner’s unique circumstances. With his client-centered approach, Terry effectively helps his client partners realize their unique and individual business and personal goals. This type of outside counsel relationship offers a cost-effective means of obtaining high-quality legal advice from a trusted advisor who knows and cares about each client’s businesses. Terry has been recognized by his peers as a Leading Lawyer since 2004, an honor that recognizes the top lawyers in the state of Illinois. He has also been awarded a Martindale-Hubbell AV rating, the highest peer recognition for attorneys for ethical standards and legal ability. In addition, Terry has contributed to both his community and Chuhak & Tecson through his involvement in numerous community programs and firm committees, including nine years as a school board member of Joseph Sears School, Kenilworth School District No. 38, service on the firm’s Management Committee and chair of the firm’s Compensation, Finance and Marketing Committees. He is currently co-chair of the Diversity & Inclusion Council. Throughout Terry’s years of practice he has written frequently for national and local publications and given presentations to various industry groups, including legal, accounting and healthcare professionals and individual business owners and their employees. He has also conducted numerous seminars for continuing education credit on topics relating to business, taxation and healthcare law, as well as employee benefits and trust and estate planning.